Born: 1895, St. Helen’s, Ipswich. Died: 6th October 1916; age 20; Tuberculosis. Served 1 year & 175 days. Residence: 32, North Hill Road, Ipswich. Enlistment Details: Date: 10th February 1915; Age: 19 years; Occupation: Labourer – out of work. Height: 5ft 3 ins. Signed up for the Duration of the War. Date of Entry Therein: 1st November 1915 – France. Service: Home – 10th February 1915 – 29th October 1915. France – 30th October 1915 – 5th July 1916. Home 6th July 1916 – 3rd August 1916. Offences: 20th June 1915 – Late on Parade – 3 days C.B. 13th August 1915 – Disobedience of orders – 7 days C.B. Etaples – 7th March 1916 – An act in the prejudice of good order & military discipline – interferring with issue of rations – 10 days field punishment No 1. Discharged: 3rd August 1916 – Medically Unfit. 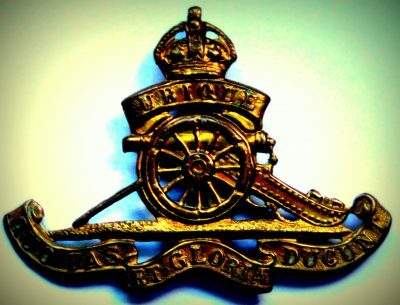 Rank: Driver: Service Number: 588; Regiment: Royal Field Artillery, 51st (Highland) Division, Ammunition Column. Medals Awarded: Victory, British War & 1915 Star + Silver War Badge. 1901 2, Ceylon Buildings, Cavendish Street, Ipswich. Albert was 3 years old and living with his parents & brother. Thomas William Brooks, 26, a Carpenter, born Ipswich. Alma Brooks (nee Nock), 27, born Ipswich. Thomas William Brooks, 4, born Ipswich. 1911 32, North Hill Road, Ipswich. Albert was 13 years old and living with his father, brother, his father’s wife & step sister. Thomas, 36, a Carpenter – Agricultural. Thomas, 14, a Labourer – Bose Company. Alice Laura Brooks, 9 months, born Ipswich. Albert’s mother Alma Brooks died, 1904, Ipswich. Albert was a Boy Scout.